Baton Rouge, LA – August 25, 2015 – Lamar Advertising Company (Nasdaq: LAMR), one of the largest outdoor advertising companies in North America, today announced its recent transit advertising contract renewal with BC Transit for an additional ten year term. The new agreement commenced August 1, 2015, and will enable local, regional and national brands to reach more than 50 million commuters across British Columbia per year. BC Transit’s inventory includes 590 buses, connecting commuters across more than 130 communities in the Kootenays, North, Okanagan, South Coast and Vancouver Island regions of British Columbia. On average, BC Transit carries more passengers per hour of service and is used by a higher proportion of residents than their peer systems in other Canadian communities, providing excellent visibility for advertisers. Lamar connects advertising agencies and businesses to the transit advertising medium, displaying advertisers’ messages on the interiors and exteriors of BC Transit’s conventional and double-deck buses. Photos: Lamar Advertising Regional Vice President Byron Montgomery presents a revenue share check to Manuel Achadinha, President and CEO of BC Transit (left). Exterior bus advertisements on a BC Transit double-deck bus in Victoria (right). Lamar offers a variety of transit advertising formats throughout British Columbia including bus, rail and station displays, reaching commuters as they travel throughout the marketplace. For more information about advertising in British Columbia, please visit www.lamar.com/bccanada. Want to create the next viral marketing smash online? Start by thinking outdoors. With real-world ideas translating into viral hits almost weekly, AdWeek asked agency and branding experts for their tips on creating an out-of-home campaign that extends far beyond its starting point. 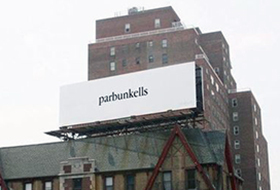 Check out their 5 tips for building global buzz from out-of-home ads. Lamar Advertising Company (Nasdaq: LAMR), a leading owner and operator of outdoor advertising and logo sign displays, announces the Company’s operating results for the second quarter ended June 30, 2015.